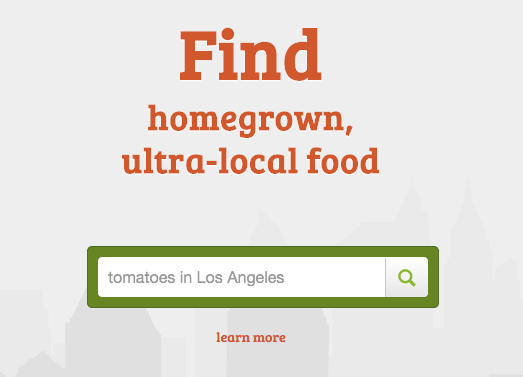 At the top of all pages on RipeNearMe you'll see our search box, which makes finding produce easy. You can click on the search icon to view your device's current location, or enter a search term first to be more specific. The most common method to search our map is using a location or zip (post) code. For best results, be specific. That is, enter the city and state if you can. There are a lot of common place names around the world, and while our search page will bias the resulting map to your location it also biases states over cities, and cities over suburbs. So as an example, instead of typing "Virginia" try typing "Virginia, South Australia" or "90065 CA" inseatd of "90065". Searching for produce will also work. This include terms like "apples", "tomatoes" or "eggs", or any other fresh food that you can think of. By default the map will display to your devices location. Altenatively, you can search by location and use the filters to narrow down the results. You may not be looking for a specific food, but the method used to grow it. The search box will accept terms such as "organic" or "free range", and will display all produce listings that use these words in their description. Bear in mind that this is not yet an exact science, as some organic growers may not have written the word "organic" when posting their listing. Combing produce and location is a fast way to see one item in a specific location. You can write "eggs in Victoria" or "tomatoes in Los Angeles", for example.